The Livingston Parish Public Schools office of Special Education has special education records for former special education students who have not received special education services for the past five years. These records will be destroyed on July 1, 2016, thirty (30) business days after publication of this notice, unless claimed in person by the parents, guardians, or individuals evaluated. Individuals evaluated who are now 18 years or older must appear in person. A government issued ID is required. These records may be claimed at the Livingston Parish School Board office of Special Education, 13909 Florida Blvd in Livingston between 8:00 A.M. and 4:00 P.M., Monday through Thursday. If you have questions, please call 225-686-4246. Please remember that these records may be needed by the former student in the future for Social Security benefits or other purposes. The Livingston Parish School Board Office of Special Education will retain only a permanent record of student’s name, last address of record, exceptionality, date of birth, school, gender, and last evaluation date of record. 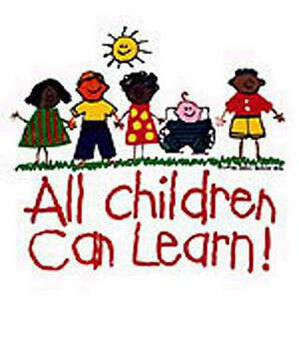 Livingston Parish Public School (LPPS) assures that a free appropriate public education (FAPE) is available to all children with disabilities residing within the jurisdiction of LPPS between the ages of 3 and 21, inclusive, including children with disabilities who have been suspended or expelled from school. LPPS assures that all procedures for the development and implementation of the Individualized Education Program/Placement (IEP) process are followed. The Director of Special Education is responsible for the general supervision of identification, location and evaluation activities/services for students who are suspected of being disabled and for the provision of FAPE to students with disabilities within Livingston Parish Public Schools jurisdiction.